Negotiation is the key to business success. Successful negotiation involves good interpersonal and communication skills, used together to bring a desired result. In fact, negotiation is one of the main qualities employers look for when recruiting staff nowadays. This is because a good negotiator can close the best deals, leading to the advancement of an organization. 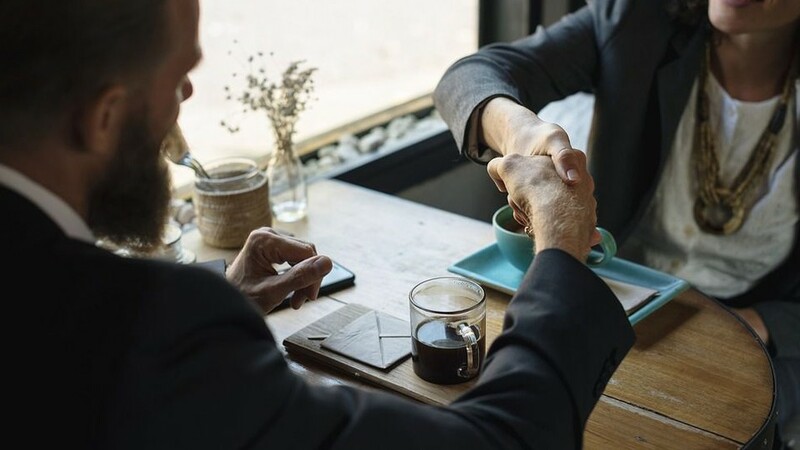 Improved supplier relationships, sustainable competitive advantage and managing conflicts effectively are all advantages of successful negotiations. Preparation is responsible for 90% of negotiating success. The more prepared you are preceding a negotiation, the more likely it is that the result of the negotiation will be acceptable for all parties involved. The 2 most important things to do during preparation are: Firstly, make sure to have all the information that you can about the forthcoming negotiation. Secondly, think about the negotiation process from the beginning to the end and be fully prepared for any eventuality. You need to know about the product or service, and the person with whom you will be negotiating. You obtain this information by choosing good questions to ask that are well thought out. Remember that the power is always on the side of the person with the best information. Good negotiators are normally very patient. They focus mainly on getting agreement on all the parts of the contract that the two parties have in common before they go on seeking for cordial ways to settle the other issues. Besides, it is important to prepare good questions to ask to clarify and understand each point. This will help to avoid confusion later. Negotiators have the abilitiy to listen attentively to the other party during the conversation. Active listening includes the ability to read body language as well as verbal communication. It is vital to listen to the other party to find areas for compromise during the meeting. Instead of spending most of the time in negotiation while defending his viewpoint, the experienced negotiator will spend more time listening to the other party and find clues for further debate. It is important that a negotiator has the ability to keep his emotions under control during the negotiation. Negotiating on sensitive issues can be frustrating and allowing emotions to take control can worsen the situation during the meeting. This will more likely lead to negative results. For example, while negotiating a good deal with a supplier, the employee can react angrily if the supplier is being too persistent to maintain high prices. This should be avoided at all cost and the employee should be advised to keep his calm during the negotiation process. Skilled negotiators must be able to communicate clearly and efficiently to the other party during the negotiation. If the negotiator does not state his case clearly, it can lead to misunderstanding and an unfavorable result. During a bargaining meeting, an effective negotiator must have the skills and tact to clearly point out his desired outcome as well as his logical perception. Employees with good negotiation skills have the capability to find a variety of solutions to problems. Instead of concentrating on his desired goal for the negotiation, the individual with skills can focus on problem-solving, which may lead to a breakdown in communication and therefore benefit both sides of the issue. Ethical standards and reliability in a skilled negotiator stimulate a trust for effective negotiation to take place. Both parties in a negotiation must trust that the other side will keep up with promises and agreements. A negotiator must have the skills to implement his promises after bargaining ends. Being a good negotiator requires a set of skills and knowledge to make sure that the required objectives are reached. To make this happen, it is essential to provide an effective training and development program to employees, allowing them to learn about the essence of negotiation and the steps to follow. This is likely to lead to increased competitive advantage and profitability.